The shorter length of this book didn't work. The complexity of an interracial relationship in this era needs a lot more exploration. Both in the character development, and in the explanation of the racial climate of the time. I felt like I kind of knew Stephen from his appearance in the last book, but even then, he has obviously lived through his share of struggles. It's sweet that he is truly in love with Rose, but up until the very end, he seems oblivious to her day to day challenges. As a 'radical' journalist, one would think he would be a bit more in touch with reality. I don't think it would've harmed his 'happy go lucky' image for him to recognize how much Rose has to do to fit into the dominant culture. Rose is amazing, but I didn't get a sense of who she is and why she fears what she fears. There are huge holes in her story that would've helped to round out her character. Why isn't her genius more of a big deal? There was a WHOLE book in this series about a woman scientist and all the controversy surrounding that idea; a Black, female astronomist/mathematician is equally amazing. Why wasn't her history mentioned? Sure, her grandfather is talked about, but certainly there is a story behind how her family became shopkeepers--BLACK shopkeepers. 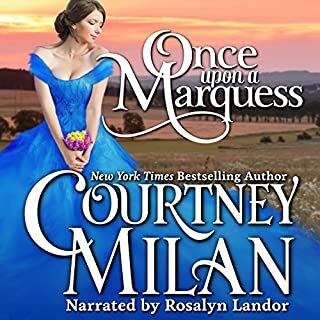 I applaud Courtney Milan for attempting to tackle interracial relationships in this era and in this genre. However, as someone who lives the controversy of an interracial marriage everyday, the brevity of the book is almost an insult. 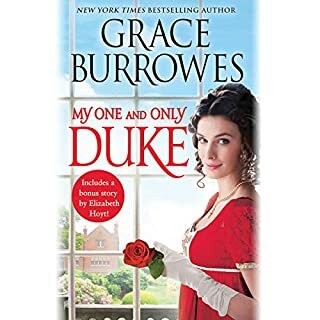 I realize that historical romance is all about fantasy, but this story is a bit too unrealistic. As always, Rosalyn Landor is great! I didn't love this. There was so much potential - very smart woman, a known rake living almost next door, a black heroine and all the bigotry that entails, for example. But the book fell short on all these points. Maybe it was because the book was so short. I've enjoyed the series but this concluding story left me flat. I never felt the attraction of the main characters and it's hard to feel invested in a story if the chemistry's not obvious. Two other observations - the narration was top-notch with Rosalyn Landor doing her usual excellent job; the title was just too annoyingly "cute." absolutely loved how she told a historical with an African woman. Please write more like this! This story was rather short but entertaining. I was very surprise to learn that the heroine is black. 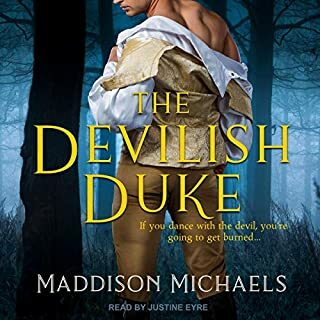 This was actually a biracial historical romance. That was a first for me and it was nice. I don't know how historically accurate this story is since it's set in the 1800's and they were able to marry at the end but yet maybe England was ahead of the USA in biracial marriage in the 19th century. Out heroine is independent, strong and a genious to boot. Our hero is a rake but his change into a loving husband and partner is realistic. Obviously the narration is very good and you can't expect anything less from Mrs. Rosalyn Landor. All considered this is a very good story if you find it on sale but I wouldn't spend a credit on it because of the length. Not much of a plot, but a sweet story of two idealistic young people from different worlds who find common ground in their love for each other. 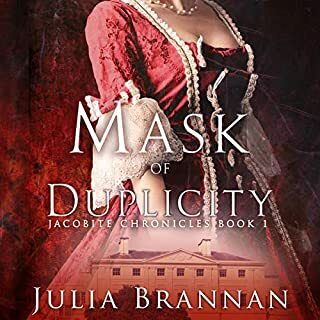 Although the reality of an interracial romance in the place and time period of the book would be a far more difficult undertaking than it portrays, the fantasy of such a possibility is nice to contemplate. I enjoy the author and series so when I saw a couple more installments were out, I nabbed them. As I installed them in my library, I noticed this was less than 4 hours long, the length of part 1 only of most books. Hugely disappointed, feeling cheated. I really dislike spending the same on a short story as I do on a full length, 8-10 hr read. 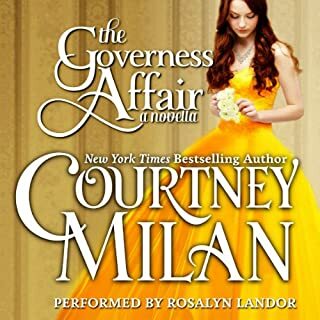 Courtney Milan is a gem, and the series is good, but DO NOT GET THE AUDIOBOOK. Get a discounted hardcopy or borrow someone elses. At least until they make these a better value. She has done well in all the books I've heard her narrate. 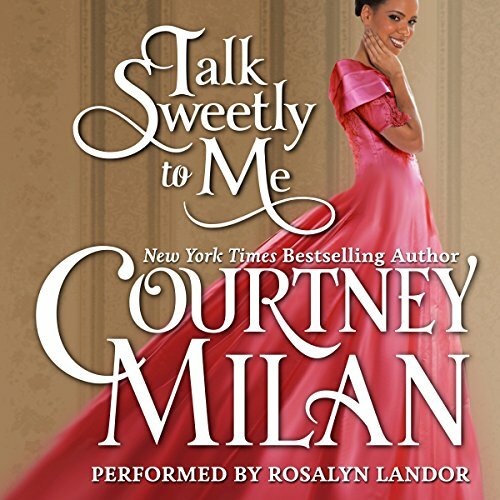 Was Talk Sweetly to Me worth the listening time? The time, yes, not the cost. I hate this costs the same as an eight to ten hour book. I do recommend the series overall. Quick read but very pleasant listening, Supporting characters could have been fleshed out more because the plot was intriguing. I have thoroughly enjoyed each book in this series. The main reason is because Ms Milan has followed through with the initial characters while introducing new ones as each book in the series progressed. The story lines of each book are different and interesting. I didn’t want to stop listening until they were over. Then I couldn’t wait to start the next one. The narrator ‘s voice is very pleasant to listen to. This adds to the experience. I would highly recommend this series. This was a very enjoyable book. I loved how the main characters are very smart and likable. I can’t imagine what it would have been like back in the 1800s since interracial couples are unfortunately just barely being accepted now. Glad I listened to this one as well. The entire series was very intense and enjoyable. I loved it. Thank you for addressing interracial marriage during the 1800, Thank you for making the characters interesting and intelligent with a great plot . I have enjoyed all five books of "The Brothers Sinister. Courtney 's characters are interesting and fun . It should be much longer. I wanted to have some thing a little better resolved. As always she did a fantastic job, gave the characters a voice each, a joy to listen to. Did Talk Sweetly to Me inspire you to do anything? Yes, not buy so short books any more. Audible should charge less for novellas. The credit system should take the time a book runs into account.